will address emerging and compelling gaps in our knowledge of fluid flow and molecular transport in single digit nanopores and establish the scientific foundation for developing transformative molecular separation technologies impacting the Water – Energy Nexus. 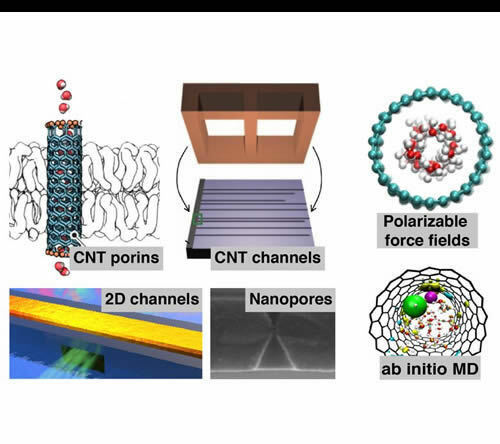 CENT will apply precision model systems, transformative experimental tools, and predictive multiscale theories to understand fluid flow and molecular transport in single – digit nanopores, to identify conditions for enhanced flow at extreme confinement, to unravel structure of solid/liquid interfaces, and to design new mechanisms that deliver unprecedented molecular selectivity. Focuses on the effects of molecular confinement in SDNs. Strong confinement is a defining feature of these unique nanofluidic systems, and its effects permeate every aspect of the nanopore transport. 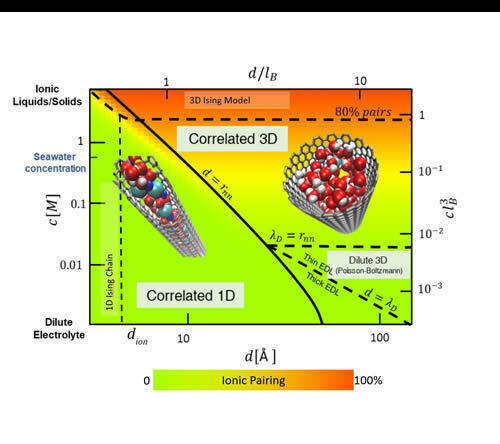 Focuses on understanding molecular and ion solvation and evaluating ion and fluid structure in the electrical double-layer in aqueous and organic media within SDNs. 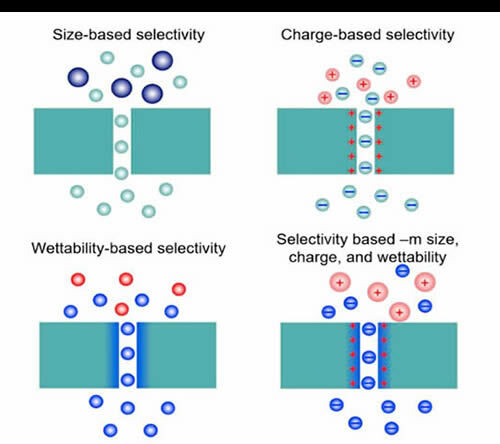 Selectivity is a key to chemical separations of complex mixtures. The goal of this Thrust is to uncover the mechanisms of ionic and molecular selectivity that stem from extreme confinement.